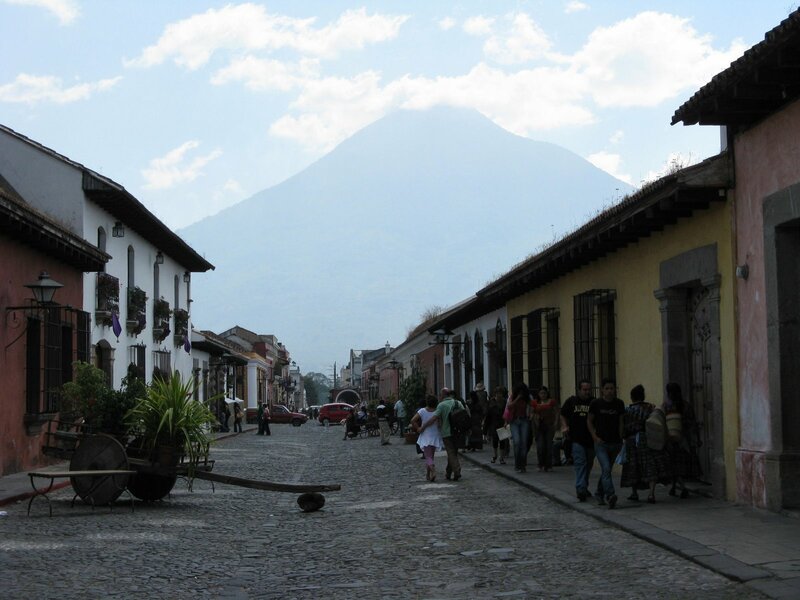 We headed back to Antigua, Guatemala for a second time this past weekend. 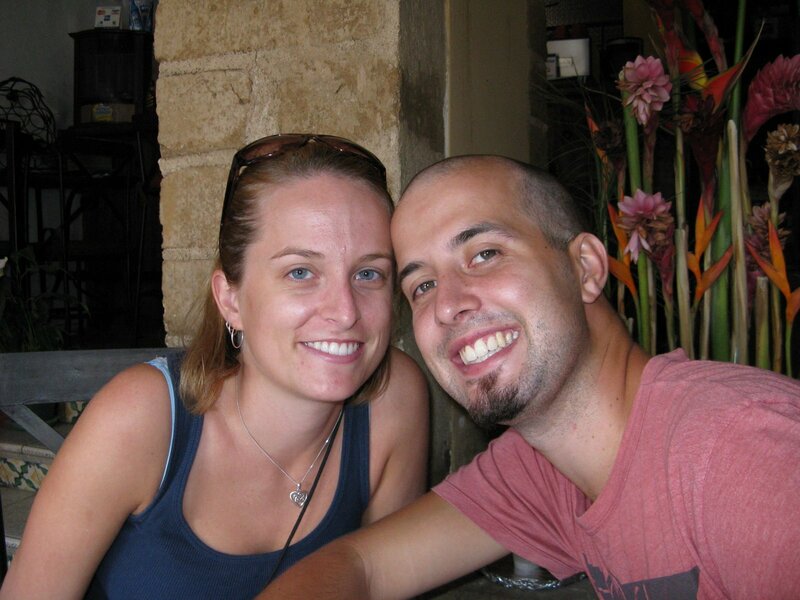 We really liked Antigua the first time we were there, but we barely had enough time to do anything! So this time we took Monday off for “mental health” reasons and got ourselves a three day weekend. Friday night consisted of 8 hours in a bus to get to Guatemala City. Then, on Saturday morning we took a chicken bus to Antigua…about an hour away. 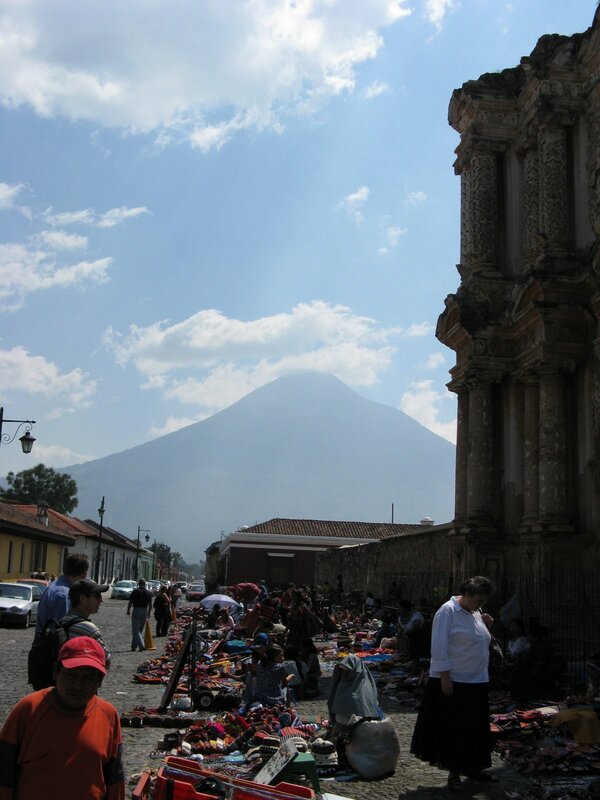 We spent Saturday afternoon hiking around Volcan Pacaya, and all day Sunday enjoying sawdust carpets. Monday morning started early…up at 3:30 to catch a 4am ride in a microbus back to Copan, then a regular bus from Copan to San Pedro Sula. We were home by 2pm Monday, but also completely exhausted. Good thing we only teach 3 days this week before we are off to Tegucigalpa for the National Art Competition! 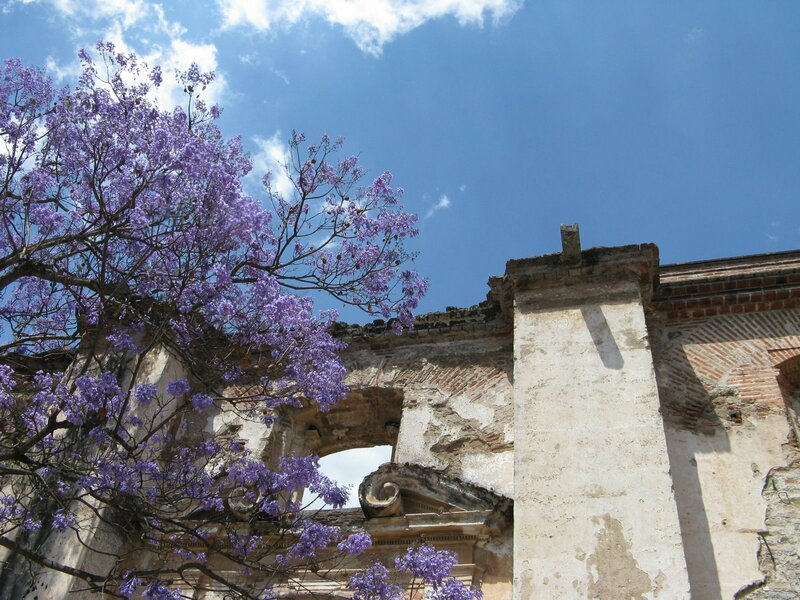 These trees with the purple flowers (maybe lilacs…we couldn’t tell) were blooming all over the city. 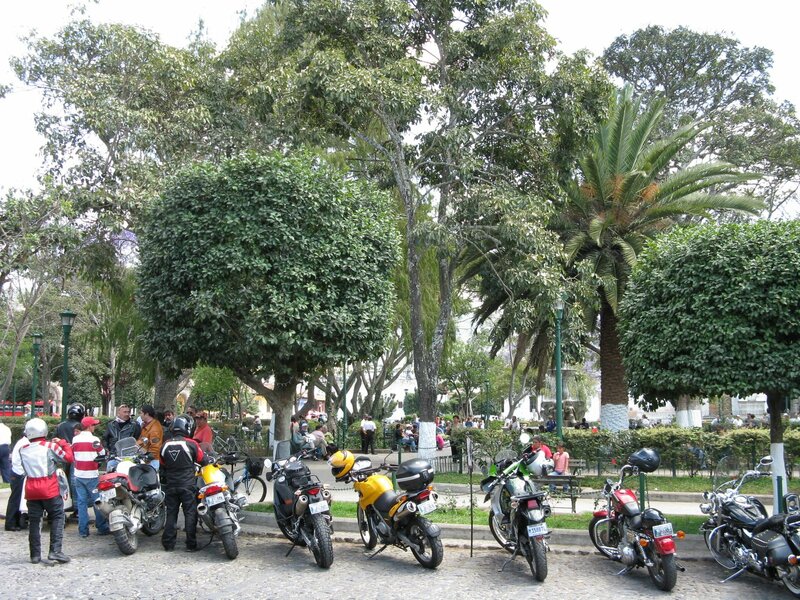 One edge of the Parque Central. 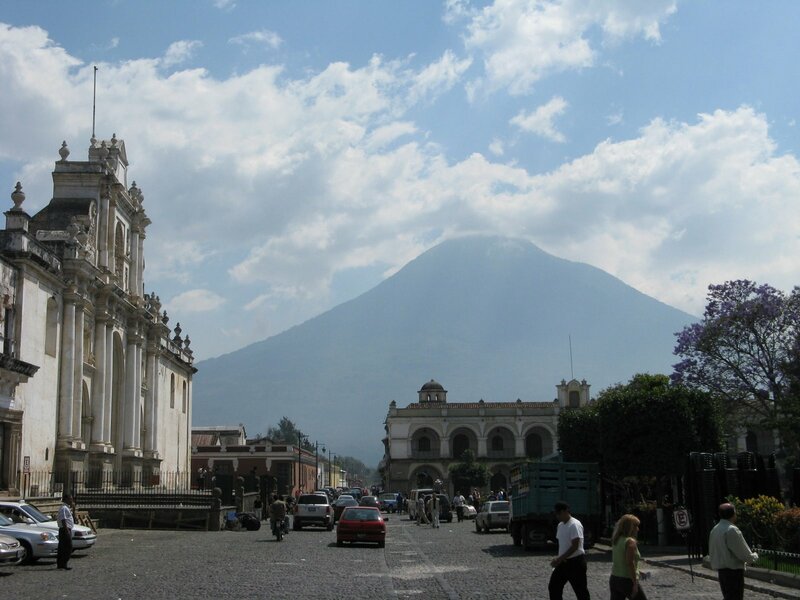 Posted in Guatemala, Iglesias, TripsBookmark the permalink.